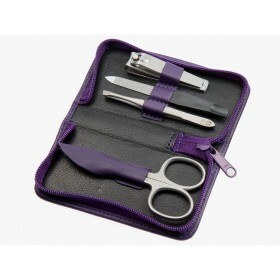 Deep black masterpiece, Hercules styling handle comb is universal for use at home or in the salon. Crafted by German experts since 1856, it glides seamlessly through wet or dry hair and gently massages the scalp thanks to rounded tips. With flexible and strong body, it can be used to distribute conditioner or blend and smooth hair when styling. Sawn, cut and polished by hand teeth have no single burr protecting your hair cuticles and enhancing natural shine and gloss of your hair. Don't let an ordinary comb snag and rip your hair! 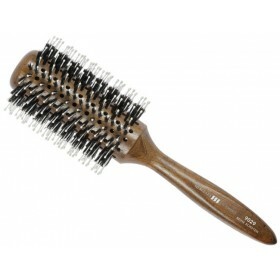 Hercules styling comb is the best in the world with highest professional quality for hair styling. Hercules Sagemann styling handle comb is handmade in Germany from 100% natural hard rubber and features absolute seamless teeth that glide smoothly without snagging hair. Whether your hair has lots of volume, curly or smooth, with or without texture, Hercules styling comb creates individual look on any hair type. Hand-cut, hand-sawn and hand-polished to perfection, the teeth are rounded and absolutely burr-free, for gliding smoothly through your hair without snagging it. Only in this way it is possible to guarantee that the hair cuticle is preserved and the skin is not scratched during combing. Thanks to long body and excellent handle ergonomics, this German-made styling comb is also ideal for distributing a conditioner or treatment, smoothing hair or massaging the scalp. If you like beautiful hair, shiny and healthy-looking, then start your hair care routine with the highest quality styling comb designed to look after your hair with professional approach. Length 9” / 22.9 cm. Every hair connoisseur knows that Hercules combs are unbeatable for styling. So before spending $$$ on expensive treatments, throw away your ordinary combs and start using what professionals call unmatched Hercules quality. What a nice comb! Great quality, sturdy hard rubber body is just beautiful. seamless and nice on hair.